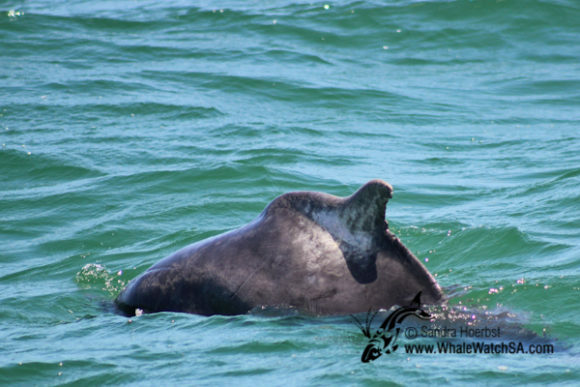 Today we spotted four out of the MarineBig5 again. 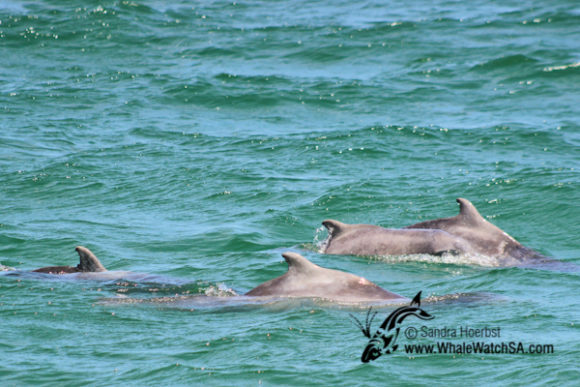 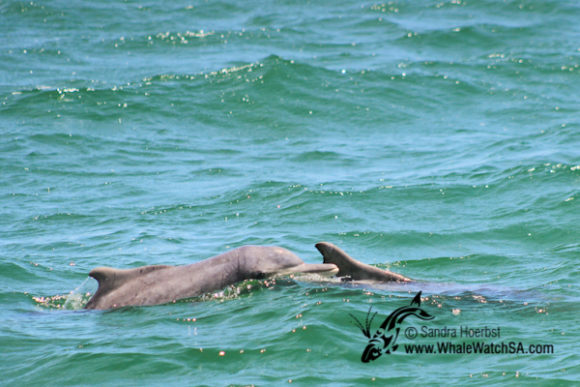 During our first and second excursions, in the shallow waters close to the coast, we saw Indian-Ocean Humpback dolphins. 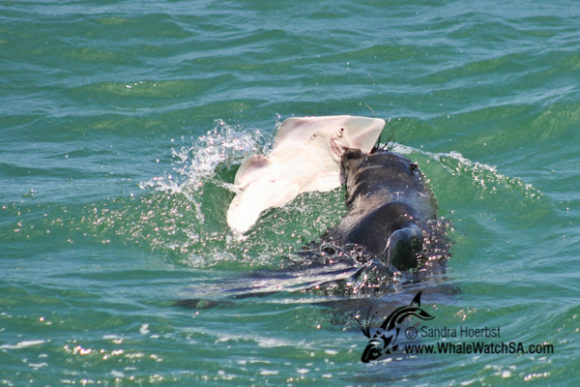 On the first trip we spotted a single individual, swimming close to a Great White shark. 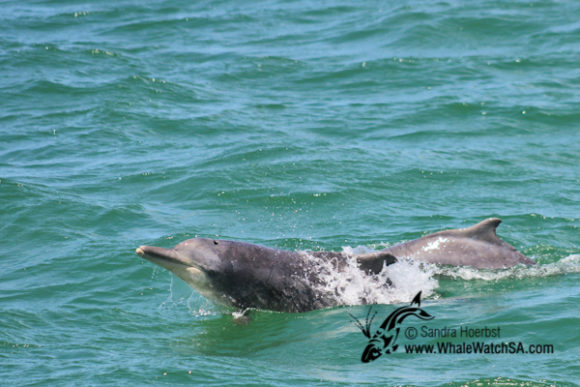 During the second trip we encountered a bigger group. 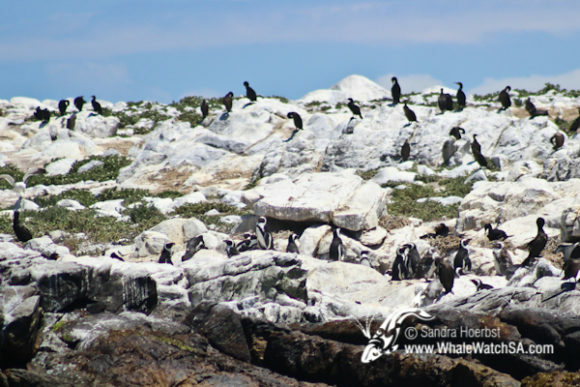 Our clients also spotted African penguins on Dyer Island. 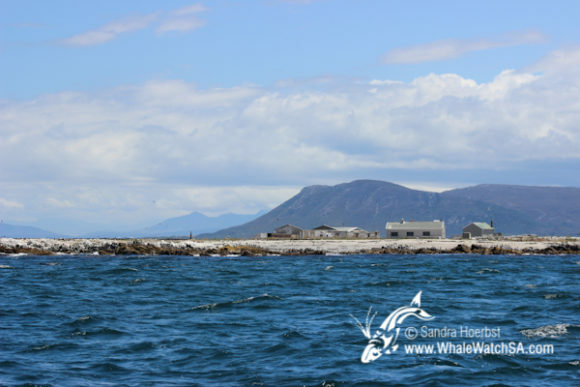 During our second trip before heading back home we passed the Cape Fur seal colony on Geyser Rock. 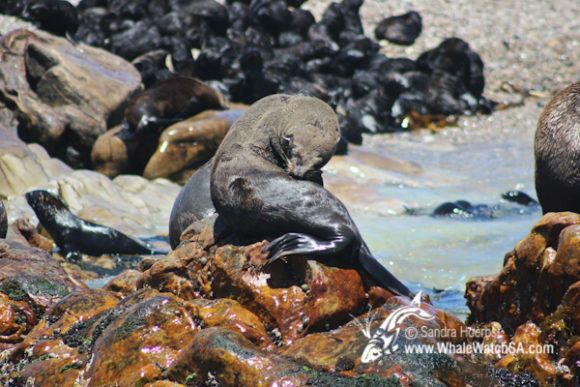 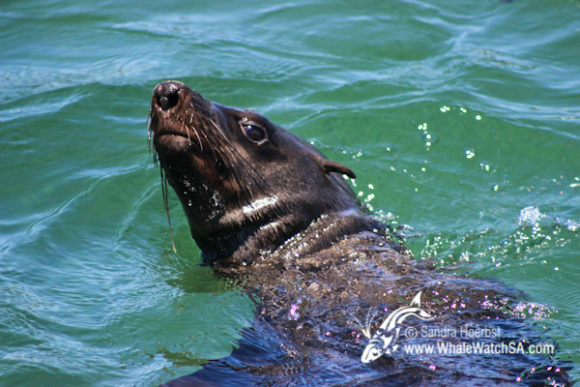 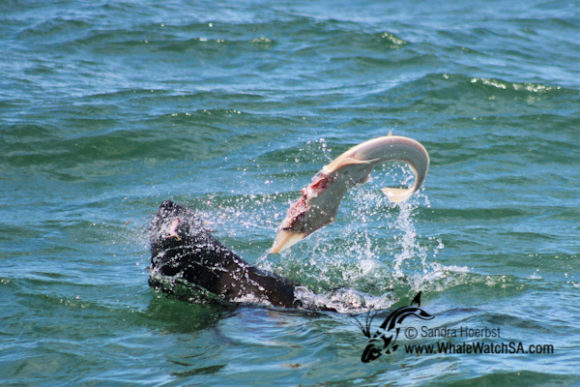 The clients and crew also got to see a sighting of a Cape Fur seal feeding on a Guitar shark, one of the benthic shark species in our area.